When you first grab the Lenovo A2020 on your hands, you will notice that it is much light weighing just 166 grams. Carrying the device is simple as it is of the medium 5.0 inches hence not feeling that bulky. Everything is well fixed on the inside leaving just 9.0 mm thickness. It rests perfectly on the hands. You can get the Lenovo A2020 in two colors; black and white. The 5.0 inch screen is enough for all the viewing you want. It is an IPS LCD capacitive touchscreen with a resolution of 480 x 854 pixels. Navigating about the device is smooth and the touches feel nice and is much responsive. The smooth back finish with well furnished bold curves makes the Lenovo A2020 one of the most beautiful designed entry level smartphones. You can play games and run multiple apps without any difficulties on Lenovo A2020. A quad core processor clocked at 1.1 GHz boost the operation of the device. It has a RAM of 1 GB which makes the running and internal processes not to lag behind but give you a perfect experience when using the device. The phone comes equipped with Android 5.1.1 Lollipop. It is lightly loaded and the phone is easy to use. 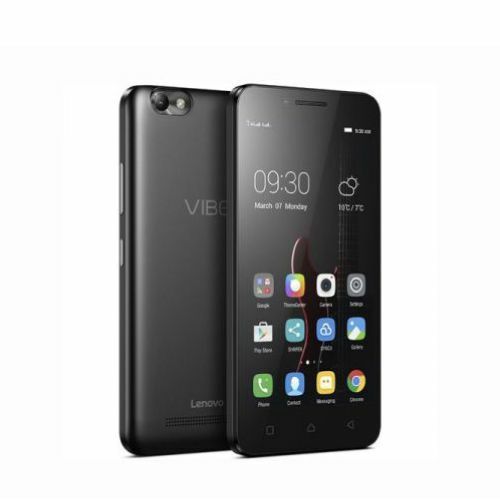 If you mind about storing your files on a mobile device, Lenovo considered their customers and extended the volume space for Lenovo A2020 to 8 gigabytes. As if this is not enough, the device has a dedicated microSD card slot where you can boost up the storage. It is always everyone’s desire to make memories wherever you go. The 5 megapixel rear camera is more than enough to have all the images you need. It captures really enticing images, and the auto-focus is always there to help you take that very stable image. Geo tagging is enabled to make your moments more memorable. The 2 megapixel front camera is also shoots very fine pictures regardless of the phone being on the lower end category. It does much more than expected of such devices. It is a dual SIM phone. Call quality is clear and the device is well networked for faster connections to ISP. Bluetooth and Wi-Fi works well and USB 2.0 port allows you to transfer files over a computer at stunning speeds. This is the same USB that is used to charge the device. It has a 2300 mAh that endures long time on screen duration and talk-time. Lenovo A2020 is a device does not disappoint when it comes to battery life. This a device that one can go for if you want to avoid frequent charging. Generally it is a phone worth having, available at a low cost but it is a device that performs.